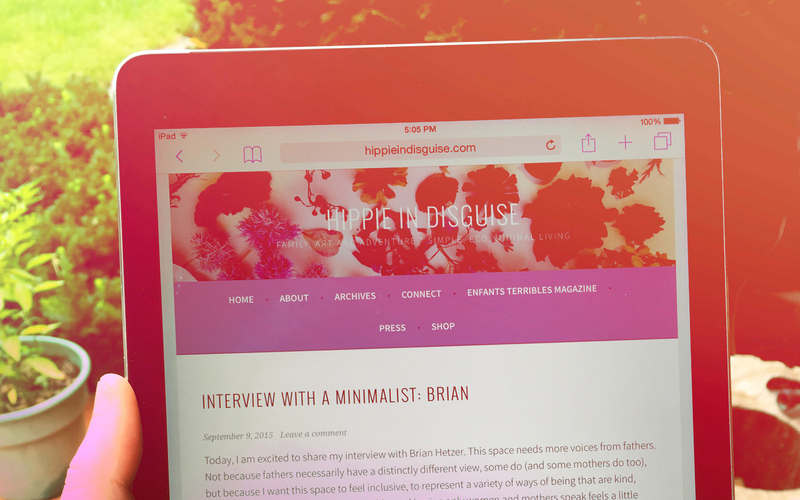 Some time ago we were contacted by Danielle at Hippie In Disguise about a blog series she does called Interview with a Minimalist. We graciously accepted the offer to share some of her space with us, although I found that I struggled with writing this more than anticipated. We are thankful to Danielle for her interest in our family and our story. And for giving me yet another outlet to ramble.